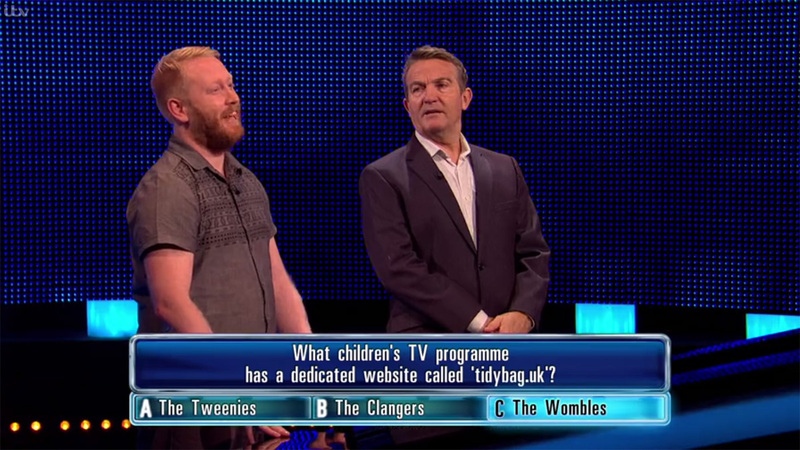 Tidy Bag was featured as a question on the ITV quiz show The Chase, presented by Bradley Walsh. The choices were The Tweenies, The Clangers and The Wombles. Jackson earned £2,000 in his individual head-to-head round, but the team failed to win £9,000 in the final chase.